Soon after treating fans with Kaappaan Teaser on Tamil New Year, the makers of the action thriller drama shared its release date. Well, the film which stars Suriya, Mohanlal, Arya, Sayyeshaa, Poorna, Boman Irani, Samuthirakani, Prem, Thalaivasal Vijay, Nagineedu and Chirag Jani, is all set to hit the theatres on August 30, this year. After releasing the much-awaited teaser of Suriya’s next, Kaappaan makers decided to announce the release date of the action thriller movie. Well, Suriya starrer Kaappaan is all set to hit the theatres on August 30, this year. 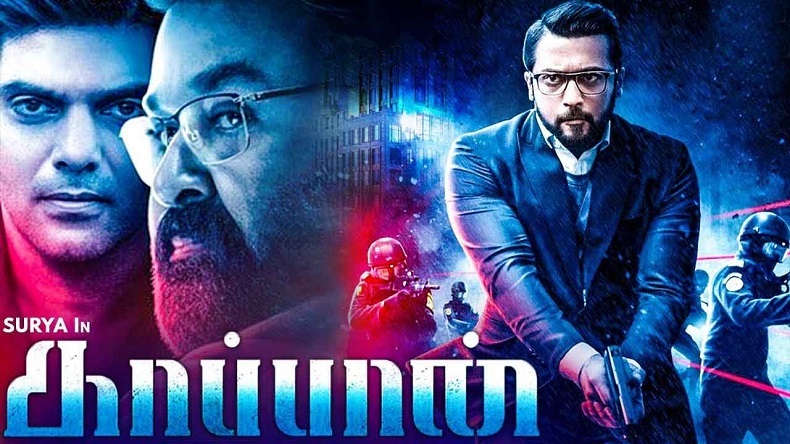 Mohanlal, Arya, Sayyeshaa, Poorna, Boman Irani, Samuthirakani, Prem, Thalaivasal Vijay, Nagineedu and Chirag Jani starrer Kaappaan is helmed by K. V. Anand and bankrolled by Allirajah Subaskaran under the banner of Lyca Productions. Lyca Productions posted an exciting message for Suriya followers. The Production company in the tweet thanked the audience for the fantastic response to Kaappaan Teaser. We are thrilled to announce the release date of Kaappaan which is August 30, 2019, Lyxca Productions tweeted. In the teaser that went viral on social media after being released by the makers of Kaappaan on Tamil New Year, we can see Suriya donning in various avatars. From being a terrorist to a diplomat, farmer, the actor has left his fans amazed. On the other hand, Lucifer actor Mohanlal will be playing the role of Prime Minister of India. Pic 3 : #Kaappaan Tamil New year Special update…. Before the release of Mohanlal starrer Kaappaan, Suriya will be seen playing Nandha Gopalan Kumaran in Selvaraghavan directorial NGK: Nandha Gopalan Kumaran. Apart from Suriya, NGK: Nandha Gopalan Kumaran stars Bollywood actor Rakul Preet Singh, Sai Pallavi, Bala Singh, Mansoor Ali Khan, Ponvannan, Thalaivasal Vijay, Vela Pamamoorthy, Guru Somasundaram and Aruldoss. Bankrolled by S. R. Prakashbabu, S. R. Prabhu, NGK which is scheduled to hit the theatres in May is made under the banner of Dream Warrior Pictures. Besides NGK, Suriya will star in Soorarai Pottru. Helmed by Sudha Kongara, Soorarai Pottru starring Aparna Balamurali, Swaminathan, Jackie Shroff and Sampath Raj. Bankrolled by 2D Entertainment & Sikhya Entertainment, Soorarai Pottru is made under the banner of 2D Entertainment. On the other hand, Mohanlal who is currently busy enjoying the grand success of his latest movie titled Lucifer will be seen playing Kunjali Marakkar IV Priyadarshan directorial Marakkar: Arabikadalinte Simham. Bankrolled by Antony Perumbavoor, Santhosh T. Kuruvilla and Roy C. J., Marakkar: Arabikadalinte Simham which is made under the banners of Aashirvad Cinemas, Moonshot Entertainments, Confident Group will hit the theatres in 2020.